We utilize state-of-the-art technology and advanced techniques to create healthy smiles that last a lifetime. Perfect your smile. Gain confidence. Do it in comfort. We offer comprehensive dental care that’s focused on the most advanced, pain-free methods and technology. You can’t always wait for the right time to get the dental care you need. That’s why we work with our patients to create financial solutions that take the stress out of going to the dentist. To learn more about our flexible payment options, give us a call today! Relax, you’re in excellent hands. You would be surprised at just how much a new smile can boost confidence, create new opportunities, and improve lives. Discover just how much difference a visit to Dr. Seccombe can make. We’re a Family Dental Practice Located in Claremont, CA That's Committed to Dental Excellence and Compassionate Care! David Seccombe, DDS is an accomplished dentist and a longtime Claremont resident with a passion for providing the community with healthy, beautiful smiles! We believe our patients deserve the best. That’s why our practice is dedicated to staying on the cutting-edge of dental treatment methods and technology. Incredible advancements are constantly being achieved in the world of dental care that make caring for your teeth less invasive and more comfortable, while also delivering results that maintain their integrity for longer than ever before. As patient advocates, our staff members look out for your dental health, while appreciating the need to balance your time and financial resources with our treatment recommendations. 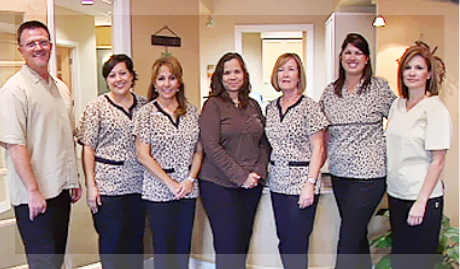 Our staff is known for delivering compassionate care with a friendly and personable touch. This patient-forward approach to dental care has made us one of the top-rated dental practices in Claremont!